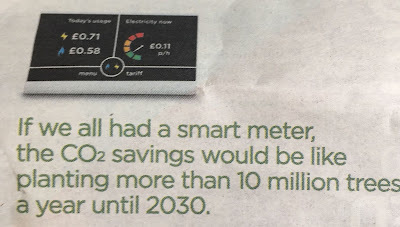 I was mildly irritated by an advert for smart meters in my newspaper, placed by ‘The campaign for a smarter Britain.’ It claimed ‘If we all had a smart meter, the CO2 savings would be like planting more than 10 million trees a year.’ Note this says would not could - a claim that cannot be factual. The ad even emphasises this by having small print saying ‘Savings possible by customers measuring energy use and cutting waste.’ Possible is true, would be isn’t. 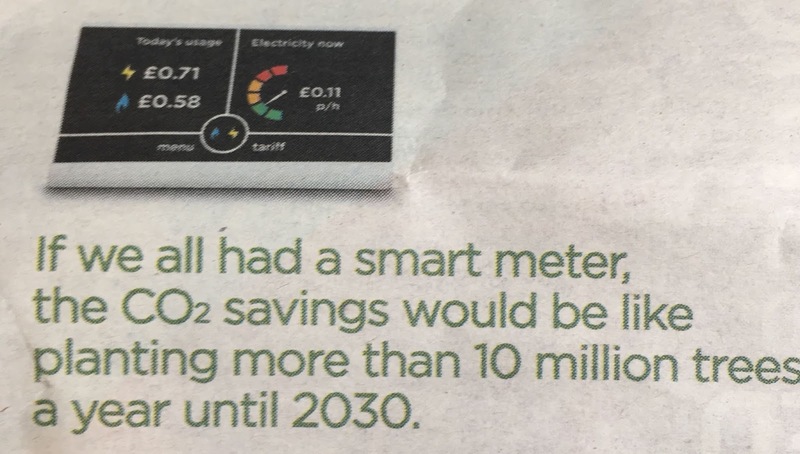 What the ad doesn’t point out is that exactly the same savings are possible without smart meters if people cut back on their energy use. It's entirely possible that everything the smart meter could achieve in energy savings could also be obtained by giving customers a laminated card with a priority list for things to switch off to save energy. 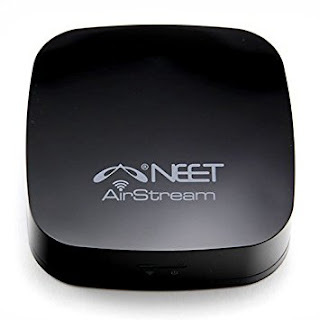 At a tiny fraction of the cost. In practice, smart meters are being pushed by the energy companies for two reasons. One is that they can save money by not employing meter readers. And the second is that they can introduce complex tariffs that charge more in peak periods, making billing much harder to understand and preventing users from getting the best deal.